Snail Games is a China based company that is taking Android gaming to a whole new level. They will be announcing their W-series Gaming Smartphone at CES 2015. The device has eye-tracking cameras, which are implemented to generate the 3D effect of the images while a user is playing. Another feature of the phone is the set of dual joysticks, a D-Pad, and a set of 4 action buttons, not unlike those seen on a standard console gamepad. The phone is equipped with an octa-core processor, MT6595. It features a 5.5 inch screen with 1080p resolution which should be sufficient for its gaming purpose. Another important factor for such a device would be its battery capacity – Snail Games has made a nice move by including a 4000mAH battery for this phone. The memory specs are a hit and a miss. The RAM storage is specced at 2GB, enough for 3D gaming. However the phone comes with limited internal storage to 16GB. External microSD cards are supported to expand the phone storage, however, the phone will be running Android 4.4 right out of the box. Users have had difficulty with re-routing bulk files of apps to SD card storage in KitKat OSes. If the user intends to pack the phone with heavy 3D games, clearly 16GB of phone storage will prove to be inadequate. The chipset supports 32-bit architecture, which would mean little improvement for Lollipop OS updates. In this particular case, a (more flexible) JB ROM release would be considered an update for this phone, so that app data can easily be switched to SD storage. 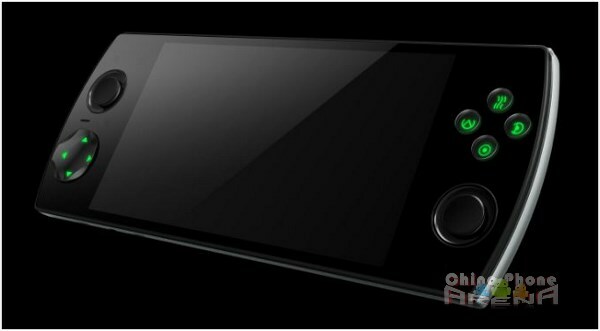 It is reported that the phone will come with 30 pre-loaded games.